Wilson Gathogo was admitted to the Kenyan bar as an advocate on 2006. He undertook his training in the firm of Wambugu Motende & Company Advocates between the year 2004 and 2005 and was employed in the said firm as an associate managing a wide portfolio of both contentious and non-contentious matters. 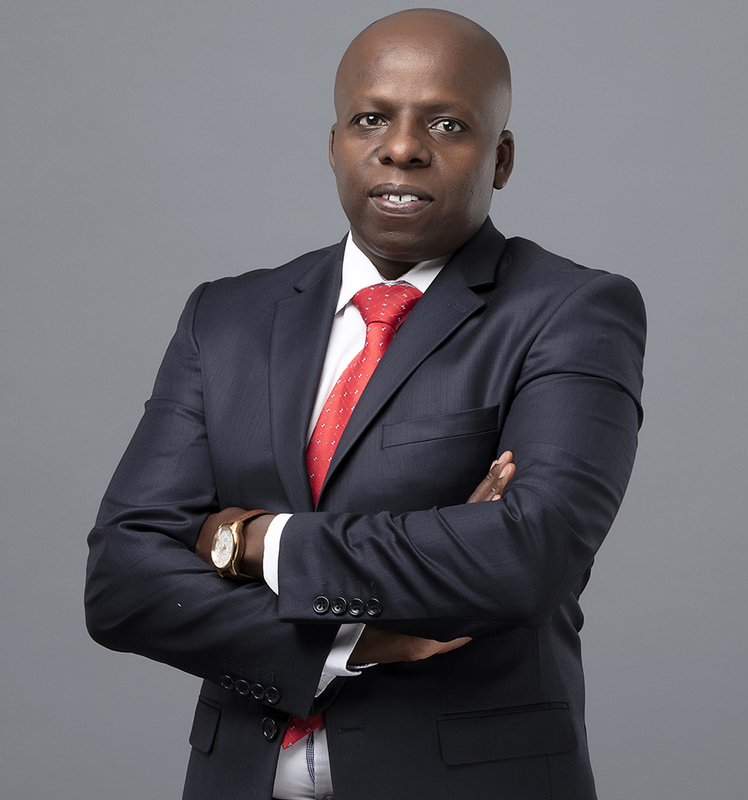 In he year 2010, Mr. gathogo co-founded Gathogo Kago & Manthi Advocates where he served as the managing partner until the year 2012 when together with partners of Lesinko & Njoroge formed Lesinko Njoroge & Gathogo Advocates. He holds an LLB Degree form University of Nairobi. Mr. Gathogo has a wide experience spanning 8 years in Civil, Commercial and Corporate Litigation. He has conducted cases at all levels of Kenyan Court system from surbodinate courts, High Court and the Court of Appeal on a wide range of disputes such as contractual claims, enforcement of bank securities, prosecution and defence of insurance claims (both material and personal injury claims) winding-up and receivership proceedings, construction disputes, property disputes, labour and employement matters, debt collection, judicial review proceedings, constitution petitions, amongst other disputes. He regularly represents clients in various statutory tribunals. • Transmission: Undertook successfully transmission of assets from a deceased to numerous beneficiaries in a contentious matter with an estate valued at US Dollars $5,000,000. The process included preparation of contractual settlement documents, drawing transfer documents, obtaining consents, to the eventual registration of assets to the end beneficiaries. • Property : Acted in a civil litigation for a leading property developer Erdemann properties in a number of suits With claim worth in excess of US Dollars 10 Million involving a financial institution. The brief entailed interpretation and advise in respect to commercial and security contracts and securities between the developer and a financier giving rise to the claim. • Enforcement of performance Bond. Acted for a contractor who had recalled a performance bond issued in its favour by an Insurance Company. The matter involved interpretation of construction contracts and terms of the performance bond including breach and remedies provided in such circumstances. • Insurance : Have been acting for Invesco Insurance Company, a leading insurance company in Kenya in defence of various insurance claims running into millions of dollars . • Labour : Acting for Britam Insurance Company, a leading insurance company in Kenya and other companies in defence of labour related claims arising from employment. Conveyance: Undertaken transfer of a commercial property by way of shares transfer while acting for Kenya leading entity in the Hospitality industry with the assignment transaction value being in excess of US $ 5,000,000. Property Acquisition: Acted for Qui Livestock limited in acquisition of property in Kajiado to construct an abattoir for donkey meat export market. The transaction involved carrying out due diligence on the property, confirming with the local authorities the permitted user of the property, preparing and negotiating the terms of the sale agreements, preparing and registering the transfer documents, and obtaining titles in the name of the client. Joint venture Projects: Represented developers including Blooming Vale Limited and Gem Realty Limited developers undertaking development and construction of residential and commercial apartments transaction value in excess of US $ 10,000,000 . The process carried out involved undertaking due diligence, formation of special purpose vehicle, application of exemption of duty, transfer of property to the special purpose vehicle , formation of management company and transfer of reversionary interest to the management company. Land use & Environmental Compliance; Acted for Mashareq limited in respect to Change of Use and Extension of Use and Leasehold interests over a prime property within Nairobi intended for development. The engagement involved various approvals by planners, Surveyors, NEMA and County Government. To ensure competence and professionalism, we sourced other external specialized retained professionals strengthening the available skills. Bank Finance: Acting for Equity Bank, Jamii Bora Bank , Rafiki Micro Finance a subsidiary of SBM Bank, and for Kenya Ecumenical Church Loan Fund (ECLOF) a large community-focused non deposit taking Micro-Finance Institution, where the firm handles on an ongoing basis work related to perfection of bank securities. Project Finance: Acted for a developer obtaining financing from foreigners investors which transaction involved negotiating terms of engagements, drawing Project Finance loan documentation for provision of funds US$ 4 million., Stamping and registration of the contracts and notarization with the Ministry of Foreign affairs and respective Embassies. Acting in a sale transaction involving 25% acquisition and disposal of shares in a construction company, with a transaction value of $400,000.00. The assignment involved preparation and review of a wide range of documentation including Non-Disclosure Agreement, Share Purchase Agreement, Shareholder and Board Resolutions, Amendments to the Constitutional Documents and effecting registration and changes with the Registrar of Companies. Acting for acquirers of equity in a telecommunication company in a share purchase valued at US$ 500,000 with the assignment including negotiating and preparation of the terms of share purchase agreement to the eventual lodging the documents with the Registrar of Companies to effect the changes.